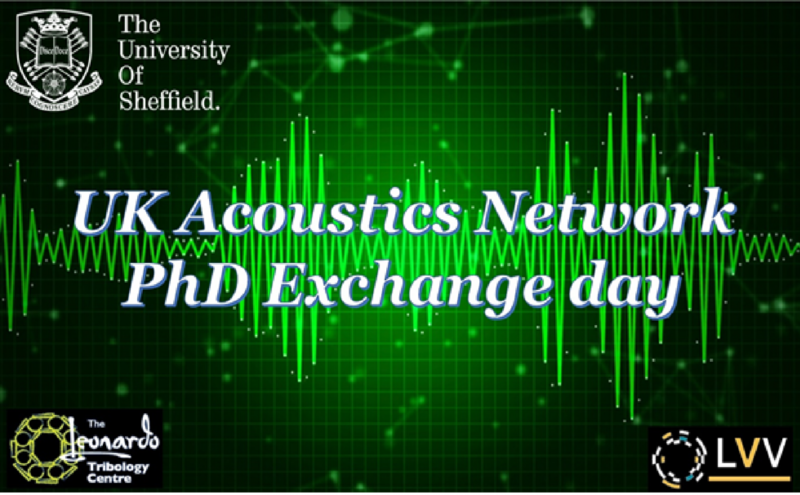 The University of Sheffield would like to welcome you on the 10th of May 2019 in the first Acoustics Network PhD exchange day. The concept of this event is to bring the PhD students in the Acoustics Network closer together, to share their experiences/challenges, familiarise with the equipment and methods other people use and promote collaboration between universities in building a stronger contacts network. Registration is via the Eventbrite. On behalf of the Leonardo Centre of Tribology and Acoustics group, we are looking forward to seeing you on May 10th. Non-EPSRC funded students can claim their travel expenses back through the UKAN travel grant application form.